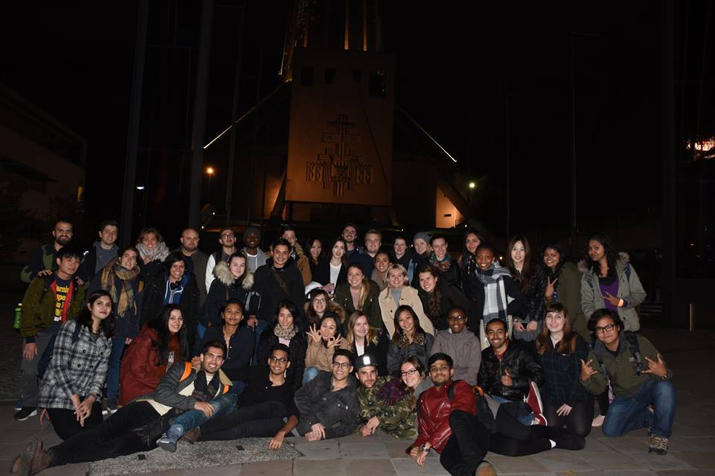 Home Study Abroad Liverpool - Erica Surgeary Week 4: I Did Something “New” in York! 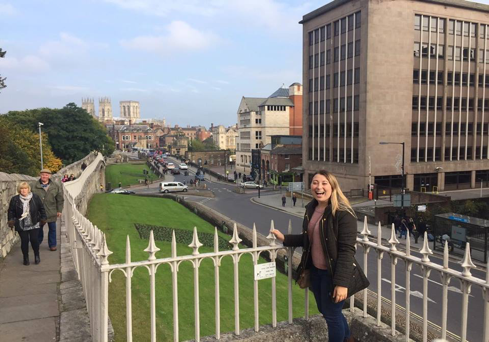 Week 4: I Did Something “New” in York! Here I am on the Roman Walls! 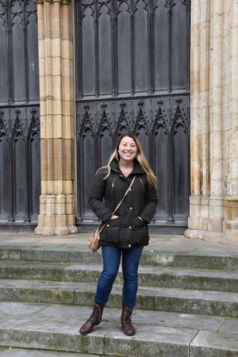 Ever since I decided to study abroad, I made it a goal to take up as many opportunities as I can; my trip to York was no different. 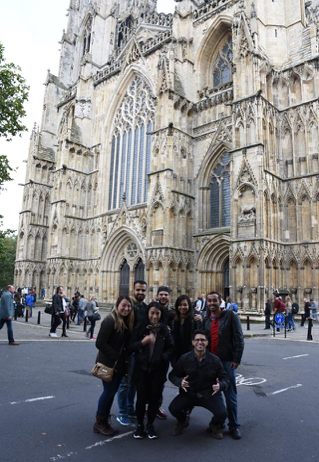 This trip to York was FREE through the International Society at LJMU! 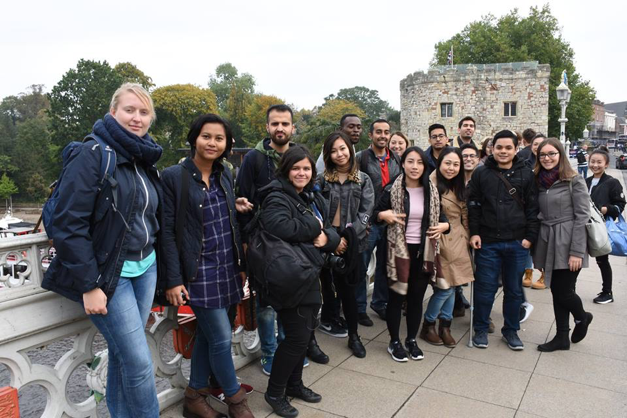 Everyone on the trip was from different countries & not only was it incredibly fascinating to hear everyone’s stories and perspectives, but we also got to travel somewhere new together! 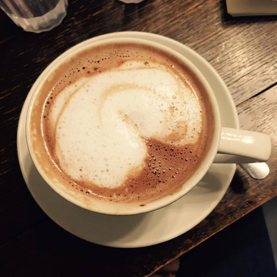 I spent the day exploring the enchanting city that was home to Roman walls and castles, lopsided stores and alleyways, and the European birth city of chocolate! There were dozens of chocolate shops and it was quite common to see crowds at the store’s windowsill because you could see delicious fudge being handcrafted right before your eyes. I wanted to experience the most of my seven hours in York so I started by enjoying a traditional York Pudding. It was absolutely delicious but I found that York Pudding is everything you will find at a Thanksgiving meal (turkey, gravy, potato, string beans, mushrooms, and stuffing) but meshed together in a giant pastry! I also ate some York chocolate and a KitKat bar since York is where the KitKat was invented. 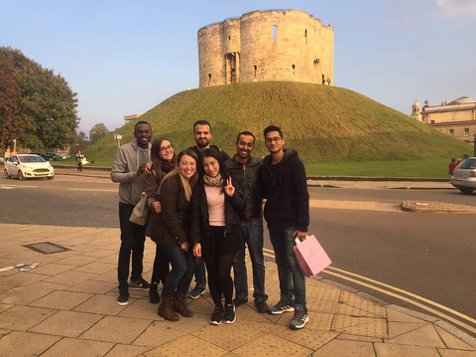 Beyond chocolate, York is known as a very old medieval city with a rich and haunting history. (Fun fact: York is the most haunted city in England!) In the afternoon I did a “Dungeon Tour” of York where the tour group of approximately twenty people and I became “peasants.” Similar to a haunted house, we moved room to room and learned about the haunting history of York such as the black plague and the witch trials. York was a beautiful city with so much to offer. I would definitely recommend going if you are in the UK! I took tons of videos and pictures but sadly I didn’t properly save them :(. 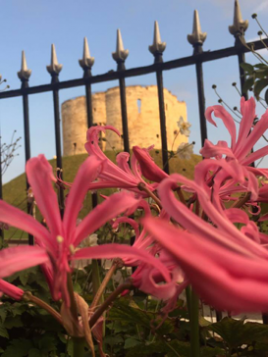 Ironically, the only video that was saved is me throwing a coin into a wishing well on the roof of Clifford’s Tower…I should have wished to never lose my videos, haha! Oh well, luckily I sent some pictures to my mum! Thanks for following me & my adventures, until next time! At the York Ministry with members of the International Society! 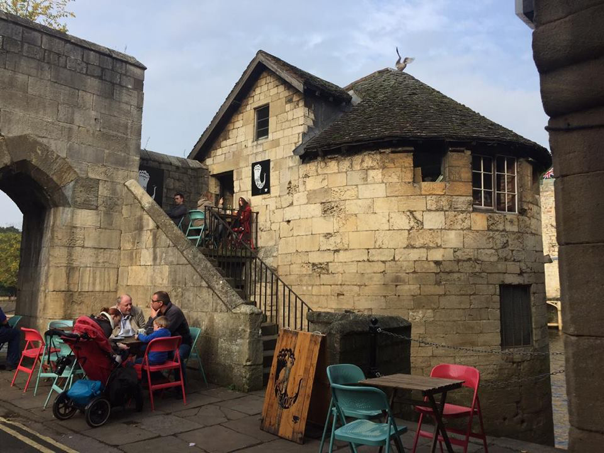 Part of the York Medieval architecture converted into a modern café. 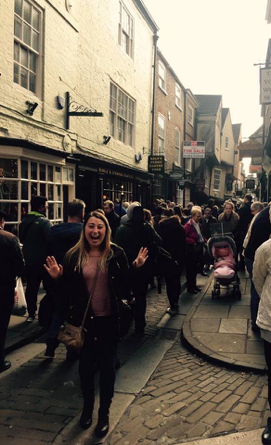 The Shambles; a street which inspired Diagon Alley in Harry Potter! The International Society members on the York trip!